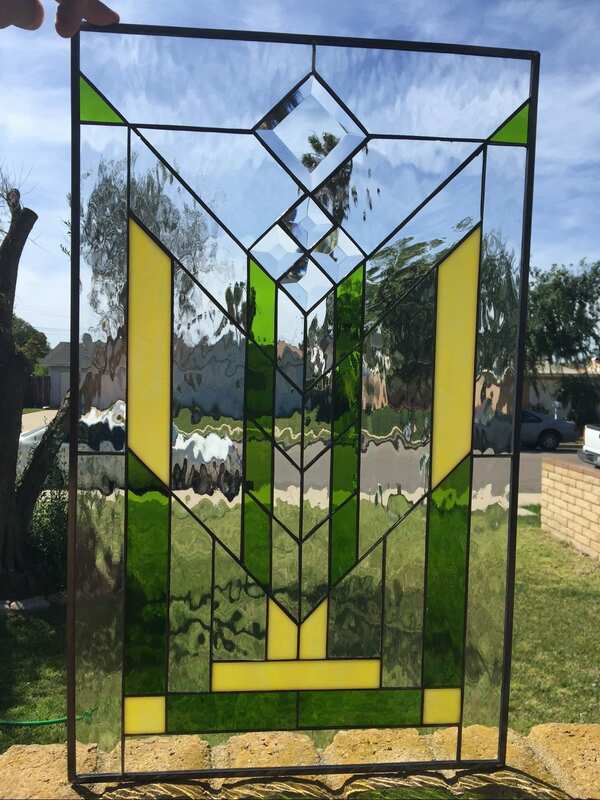 Inspired by the stunning greenery of Calabasas, our beautiful geometric prairie style leaded stained glass window combines dark green hues with sunny yellow tones amid clear textured glass for a contemporary style. 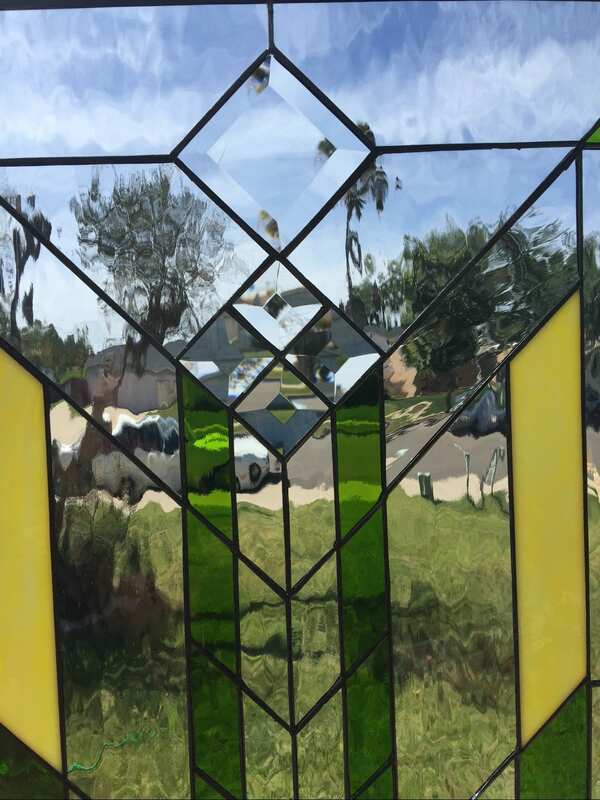 With geometric details that create an elongated look, it will amplify any space with spectacular light and style. 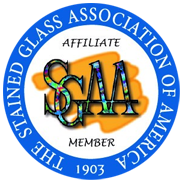 Categories: Past Projects, Windows Made-to-order (Wide Range of Designs), Geometric & Clear Beveled Glass. Tags: abstract, clear, contemporary, geometric.